With the expressed support he has received from Sarawak Barisan Nasional, after Sabah and Perlis, Datuk Seri Najib Tun Razak says he can now sleep soundly without worry. “Just now, the Sarawak Chief Minister (Tan Sri Adenan Satem) said to me, ‘you are not alone’, and I responded with, ‘I’m glad that I’m not alone’. “Tonight, my wife and I can sleep soundly, we sleep on the same pillow, have the same dream. We feel relieved as it is clear that Sarawak Barisan so sincerely supports me. I can read people’s hearts,” he told thousands of Sarawakians at a leader-meets-people session at Stadium Perpaduan here yesterday. Najib said he was the prime minister who most frequently visited Sarawak, and he never came back empty-handed. He said in the five years of his administration, he had approved, on the spot, development allocations totalling over RM1bil for various projects in Sarawak. He called on voters to support Adenan come state elections, and took a potshot at former prime minister Tun Dr Mahathir Mohamad, saying Adenan was not asking for another 22 years. “We must give our Adenan a big mandate for another five years. Can? He is asking for five years, not another 22 years. “I need Sarawakians to give a big mandate (to Adenan) because we want CM to have another term. “This will be a curtain-raiser for Barisan to win in the 14th general election. 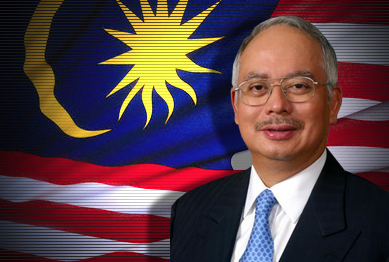 I will come to Sarawak many more times,” Najib said. The state elections are due by June next year. Adenan earlier gave Najib ringing support and criticised Dr Mahathir and others in Umno for being ungrateful and acting like backstabbers. “We in Sarawak know the meaning of being grateful to those who have helped,” he said. He said Najib was a sincere leader who was not good at acting, always strived to bring good, and someone who would try to right the wrong and heal the sufferings of others. “He is besieged left and right by those who are ungrateful, in the peninsula, including those in Umno who do not know how to be thankful, but only know how to stab in the back. We in Sarawak are sincere. If we support you, we say so,” he said. Adenan said he knew that Najib had a soft spot for Sarawak, and pointed out that Sarawak would support Najib’s leadership through thick and thin. “Compare him to other prime ministers before, not that we are unappreciative, but there was one PM in service for 22 years who was just not bothered with Sarawak,” he said. The Prime Minister is scheduled to visit Sarawak again, going to Kapit in the middle of the month to oversee missing road links.